Exmouth is the gateway to the Jurassic Coast and with its 2 miles of sandy beach has been a popular holiday resort since the 18th century. With the Exe Estuary trail to explore, an award winning indoor market and great restaurants Exmouth is well worth a visit. 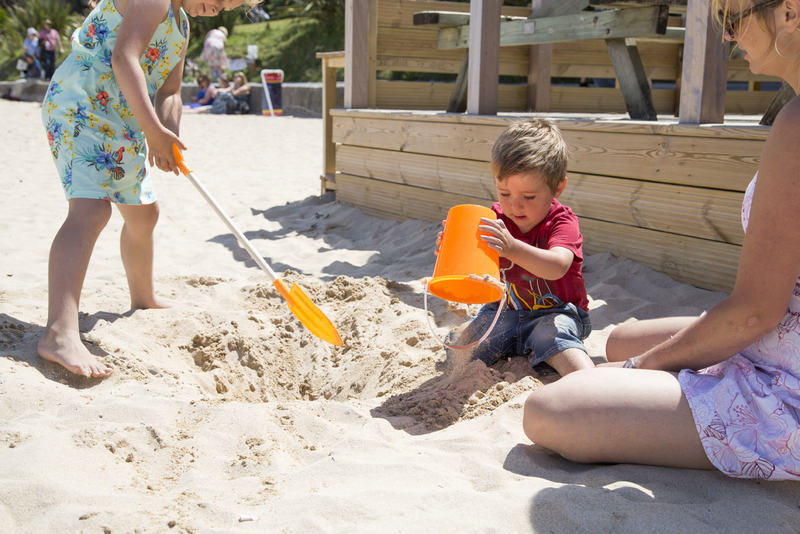 The golden sands at Exmouth are a treat for adults and children alike. The promenade is 2miles long and along its length you’ll find old favourites such as swing boats and crazy golf, as well as plenty of cafes and pubs. There are plenty of opportunities for some fun in the water too whether it’s kite surfing, windsurfing or paddle boarding, Exmouth Watersports have got the equipment and instructors to help you. 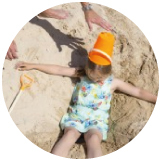 Running from 22-28 May 2015, Exmouth Festival is 7 days of music, literature, arts and theatre. The majority of the events take place in Manor Gardens but there are also events at other venues throughout the town. Confirmed acts for span a wide range of genres from folk to funk, jazz to rock. 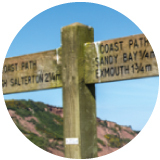 The Exmouth seafront walk sets out from Exmouth station and takes you on a journey across the sand dunes and mud flats, home to a plethora of birds including the Avocet, onto the famous Geoneedle at Orcombe Point and the start of the Jurassic Coast. The walk is fairly easy 4.4 miles. The Exmouth to Starcross Ferry runs from Exmouth Marine 7 days a week, Easter to the end of October. 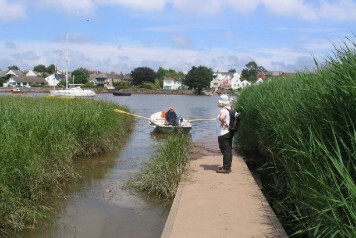 The crossing is approximately 20 minutes and is a great way to see the estuary. Off-Peak Day Return. Valid after the morning peak and anytime at weekends and Bank Holidays. With great shopping, a thriving arts scene and some excellent restaurants, Exeter is one of the liveliest cities in the South West. 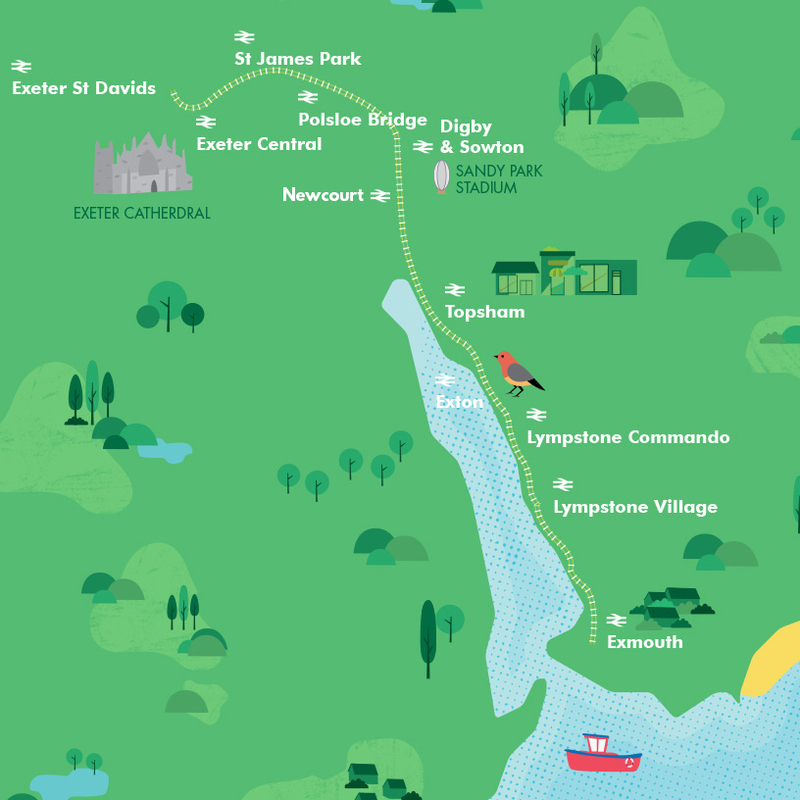 Blessed with specialist independent shops, stylish restaurants, historic pubs and boats trips on the River Exe, Topsham has something for everyone.